You’ve earned your degree – now are you ready to make your mark? As a new member of our Transportation operations team, you will be placed on a career advancement track from day one. Our extensive training program provides an in-depth understanding of our industry, company, its people and operations - all of which are critical to our company success. Motivated trainees will find that the career options at National Express are endless. Turn your drive and ambition into a lucrative and rewarding career with a global organization. We look for potential leaders who have the ability to plan, problem solve, act with a sense of urgency and innovate while using critical thinking skills to create real long-term value for the organization. During the 12-24 month curriculum, you will learn and participate in all activities within a Transportation operations environment including managing customer relations, commercial development and overall operations including safety, maintenance, employee relations, dispatch and staffing. If you are passionate about excellent customer service and want to become a key leader in creating a safe operations culture while driving a business to achieve its vision and objectives, apply for this once-in-a-lifetime opportunity and start your career today. To learn more about our Manager in Training Program or to submit your resume, please contact Lisa Manegold, Vice President Talent via email Lisa.Manegold@nellc.com. 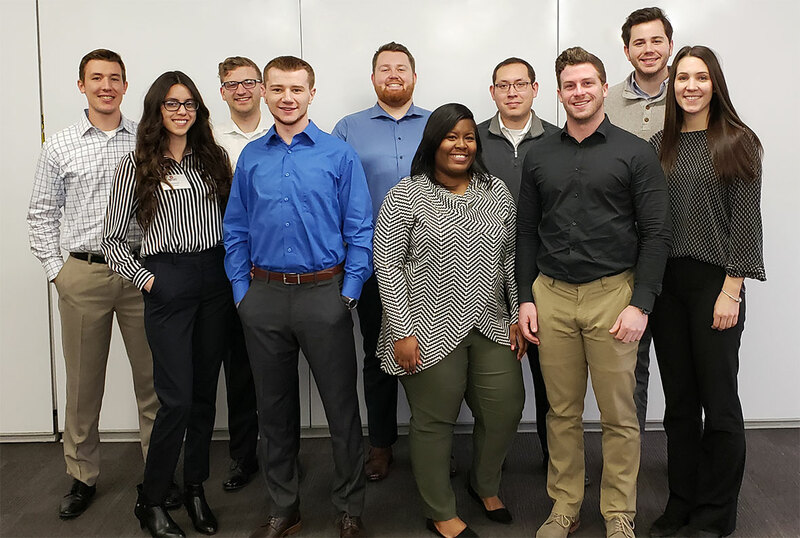 Pictured are Manager Trainees at National Express who just finished participating in a MBA Module on Leadership presented by the Kelley School of Business at Indiana University.